we can see the green river snaking and twisting. It creates a natural boundary between Texas and our Mexican neighbors…only a stone’s throw or a few short strokes of a canoe paddle away. Switchbacking down the sandy trail through mesquite and ocotillo, the gaping mouth of the steep walled canyon of the Rio Grande comes into a view and, across it, a leather-faced amigo. 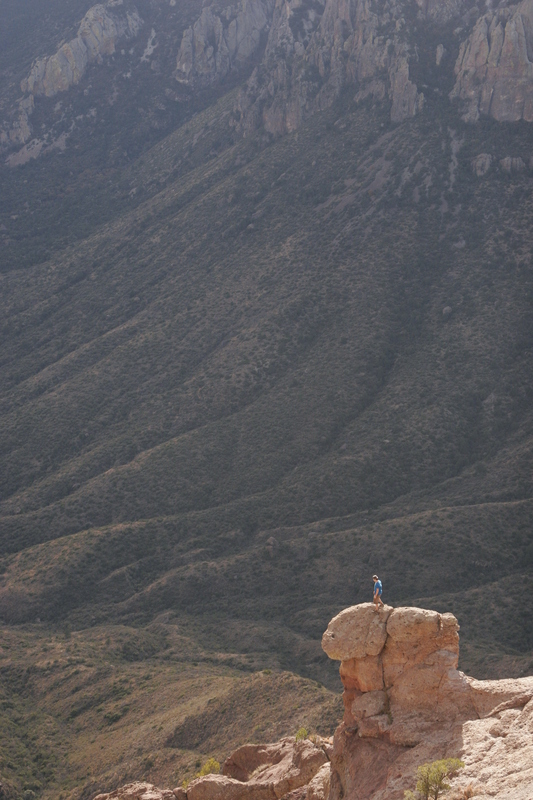 The man sits on a flat rock and begins to belt out his heart in Spanish. His opera-like voice bounces off the sandstone in the states, then back to Mexico. The rangers advised us to take this hike, because it is so beautiful and because hearing “Victor the Singing Mexican” perform is an added bonus. Nobody comes to Big Bend NP by accident. It’s not en route to anywhere and it’s a big effort just to get here. 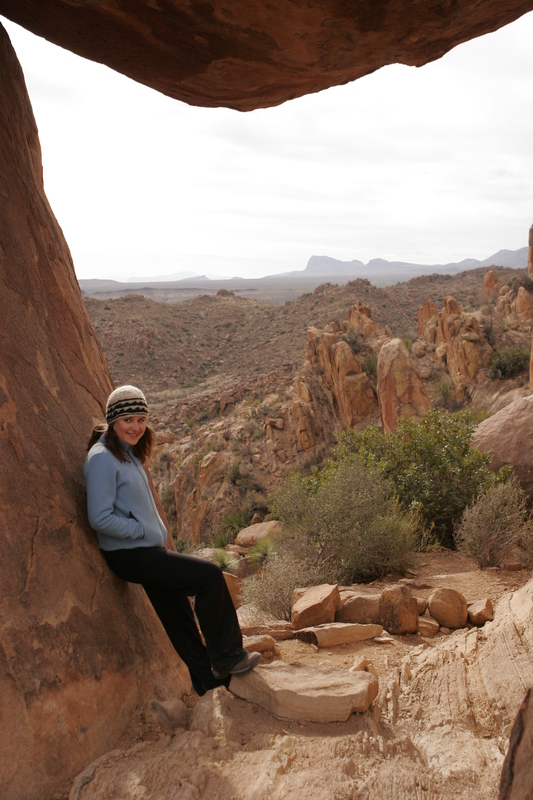 One of the least visited of America’s national parks, its 800,000 acres are tucked into the remote southwest corner of Texas and it is one of the best places for outdoor adventure in the winter. 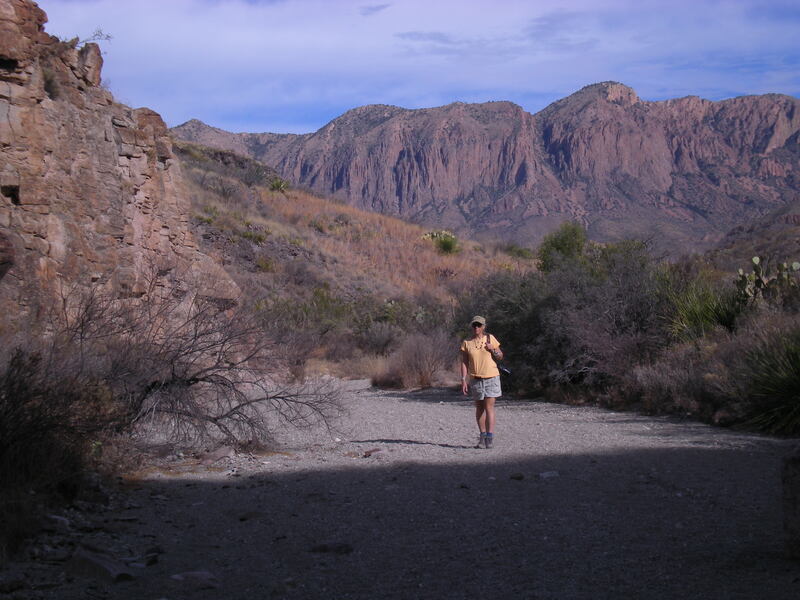 My family and I came here mostly to hike, for the park boasts 200 miles of trails in all three major areas: the sprawling Chihuahuan Desert, the majestic Chisco Mountains and the lush, floodplain of the Rio Grande. After listening to Victor’s sweet yet incomprehensible lyrics which undoubtedly mean, “Please fill the donation jar,” we wander over to a rusty can sitting in the sand. A scribbled note sits next to it, “For children at the local school” as well as painted rocks, twisted wire scorpions, and beaded necklaces. We throw in some change and make a U-y on the Boquillas Canyon Trail. There is magic everywhere we turn in Big Bend NP – 8,000-foot mountains rise like islands in the surrounding desert, painted in colorful stripes of volcanic ash called tuff. An easy walk-up to the highest point in the park, Emory Peak, is on our list of hikes, as well as a walk to The Window, a rectangular narrow portal chopped out of the rock. All the water from the basin drains through it, like a rain gutter, before plunging into the valley below. There are gravelly hikes up dry slot canyons reminiscent of the best of Utah canyon country; walks through deserted historic ranches with mud bricks walls and creaking windmills. They still sing their lonely song as they pump life-giving water. 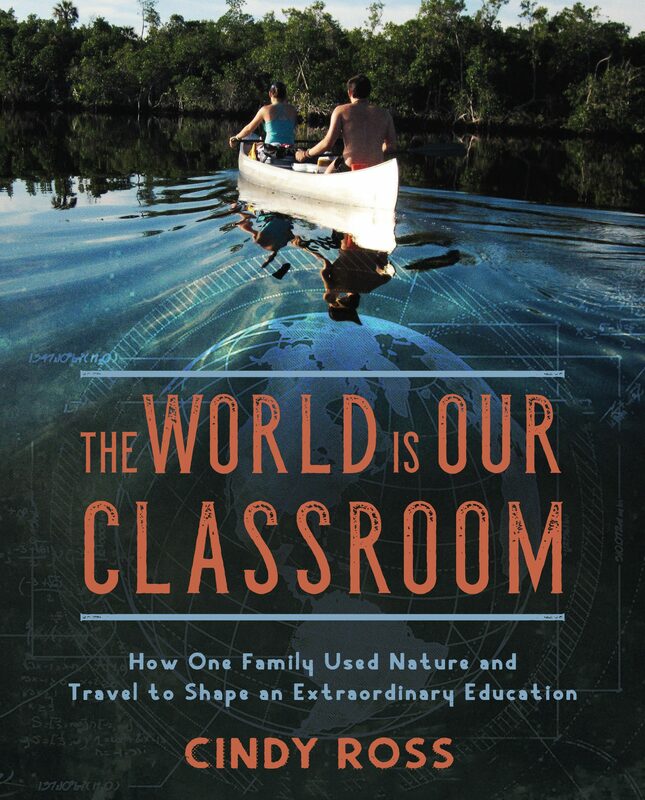 There is a walk to Balanced Rock amidst rocks shaped like stacked hamburger buns and a walk to a natural hot spring, where you can lounge in rock lined pools and literally toss a pebble into the next country. The flora and fauna here in Big Bend are unusual too. The towering stems of the yuccas are silhouetted like swords against the brilliant blue sky. Broad, flat prickly pears cacti look like gigantic ping-pong paddles or mittens. A roadrunner zips by, stripped tan and black like the grasses he runs through. In the evening, coyotes yip up a haunting chorus and the curious looking javelinas (or collared peccarys) emerge to munch on the grasses. These black, bristly haired creatures resemble pigs but are no relation. For dinner in the campground, we chow down on roasted tamales wrapped in cornhusks that we bought in a tiny town enroute to the park. At night, the Milky Way is so vivid, it actually looks like spilled milk was streaked across the sky. These are the reasons we came- for a complete change of everything we are used to. After we get our fill of hiking, we vote to round off our Big Bend experience, by hopping on the river that created it all and cruise through one of the three distinct canyons. Raft trips leave from the nearby old mining town of Terlingua, which is as much of a Big Bend experience as the park itself. It has both an adobe ghost town section and an art gallery and gift shop section. At the general store on the hill, spent-looking cowboys slouch on benches that line the adobe building. Their hands grasp cold ones, their low brims shade their eyes, fixed on the magnificent show occurring in the western sky. It’s like this every day of the week, we hear, front row seats. Terlingua is the kind of town where everyone knows everyone else so when strangers arrive, they notice. After the sun goes down, we wander over to El Kiva Bar, a subterranean restaurant with stuffed longhorns wearing top hats, the biggest redwood slab table in the world, and a stringy-haired bartender whose T solicits, “This shirt would look better on your bedroom floor.” Tonight is Open Mike and we learn that there are actually songs written entirely about black cowboy hats. Breakfast is at a shocking pink painted school bus that serves as the restaurant’s kitchen, but the dining room is entirely outdoors- around a blazing campfire. Locals mix with visitors like us, cupping mugs of steaming coffee and eating egg enchiladas on tin plates. 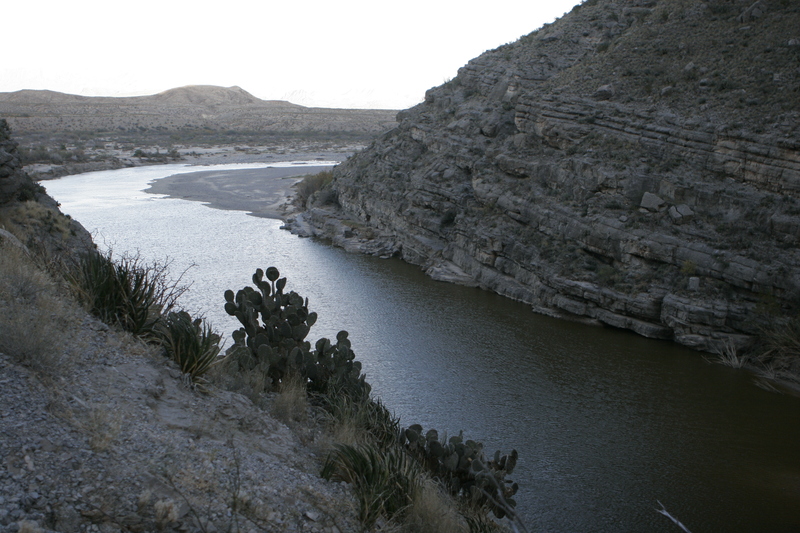 There are 118 miles of Rio Grande that borders both the national and the state park. We’ve chosen the Colorado Canyon stretch because it has the liveliest, most continuos splashy rapids. 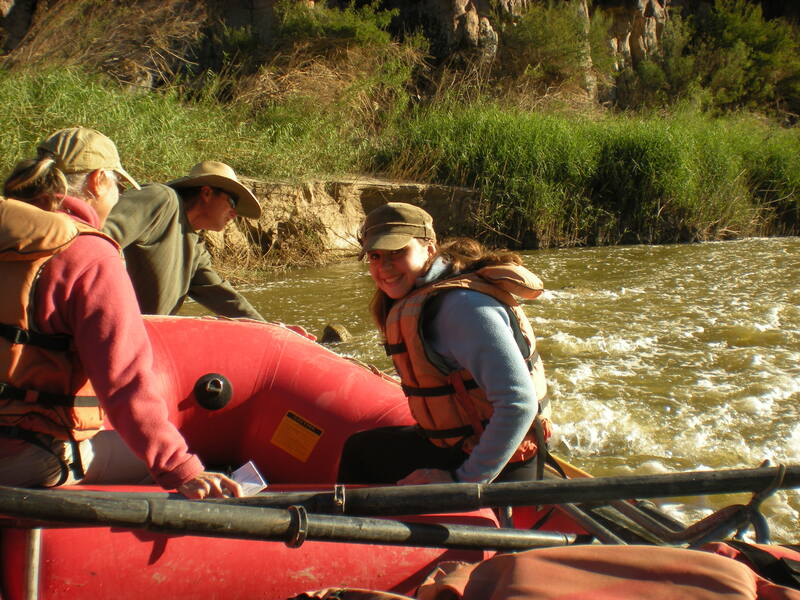 And we’ve chosen Big Bend River Tours for they have been guiding folks down the Rio Grande for over thirty years. Our guide, John points out swallow nests in the towering cliffs, the flowers of the yucca that we could eat in an emergency, the pock-marked lava bubbles in the igneous rocks, and the yellow smashed car on the cliff. An enterprising elderly couple pulled a Thelma & Louise and attempted to commit suicide by driving their car over the cliff…the drama of the West. John strains on the heavy wooden oars, guiding us safely through rapids and bouncing merrily off rocks. We each take a turn at the helm and can’t believe the brute strength involved in manning such a raft. After a delicious picnic lunch, we wander up a side canyon to stretch our legs. U.S. rafters can explore up to 10 miles into Mexico without a passport. This is the way to wrap up our Big Bend adventure, on the shimmering green ribbon that created this breathtaking country, carrying the lifeblood to both US citizens and our Mexican neighbors alike. Big Bend has taken us to the end of America. Previous It’s Time to Hunt for Arrowheads!